Did you know that National Pasta Day is celebrated on October 17? Even better, all of October is National Pasta Month! We personally like to celebrate pasta all year long but don’t mind an excuse to indulge in our favorite carb. In honor of this amazing holiday, we’re sharing 11 Roseville restaurants where you can treat yourself to exquisite pasta! 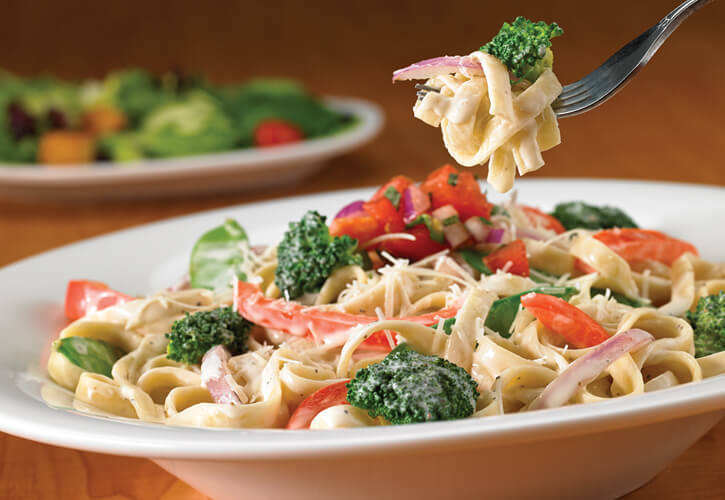 National chains not included, but rest assured you can also find tasty options at Olive Garden, Applebee’s, Chili’s, Noodles & Company, Panera and even Red Lobster or Outback Steakhouse! Axels may be best known for their mouth-watering steak and seafood, but a hidden gem on their menu is the Spicy Chicken Penne. Blackened chicken, roasted red peppers, and penne are tossed in a basil pesto cream sauce that will impress even the hardest pasta critics! Another place that offers four pasta options is Granite City. Choose from creamy Cajun Pasta (featuring andouille sausage and chicken breast), Grilled Chicken & Asparagus Linguine, Mediterranean Shrimp Scampi, and Bock & Cheese which tosses penne and chicken with a creamy beer cheese sauce and tops it with toasted bacon breadcrumbs. Now that’s a winning pasta combination if we’ve ever seen one! For the pasta fanatics out there, make sure you visit Green Mill—they have FOURTEEN different pastas on their menu. Besides the classics like Chicken Parmesan, Fettuccine Alfredo, and Spaghetti & Meatballs some standout options include Dessert Fire Pasta, Shrimp & Andouille, and Lobster Mac n Cheese. 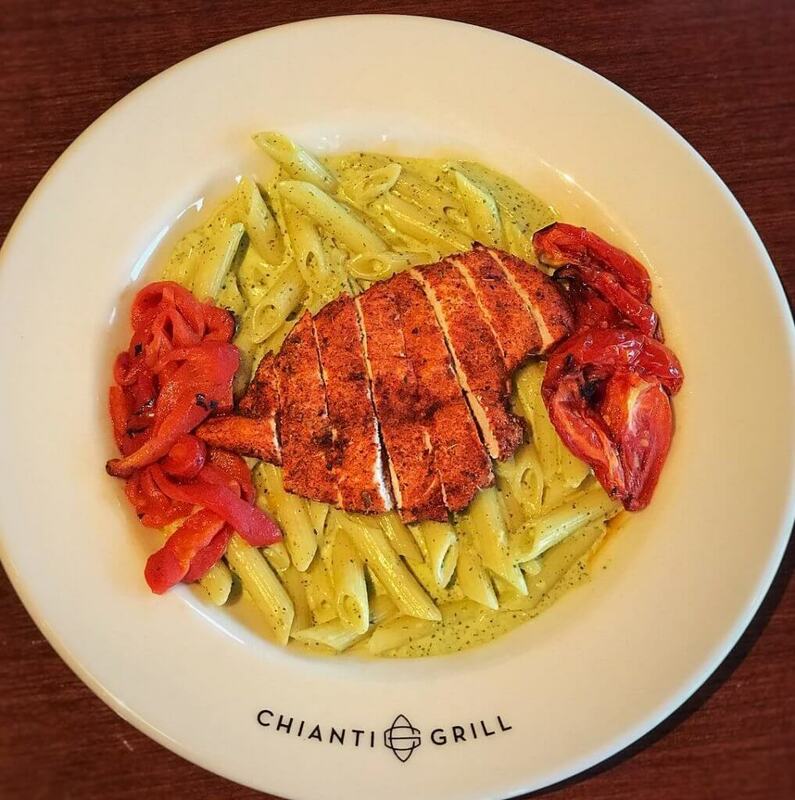 For the health-conscious pasta lover they offer two Eating Fit dishes: Gluten-Free Spinach & Artichoke Penne and Roasted Tomato & Chicken Linguini. For pasta in a fun bar & grill atmosphere, you can’t go wrong with Grumpy’s choices. Fetuccine Alfredo, Beef Stroganoff, Angel Hair Pesto Shrimp, and Chicken Penne Carbonara are all delicious choices, but the Carbonara with its grilled chicken, bacon crumbles, mushrooms and sweet peas tossed in creamy Alfredo sauce is a real standout! 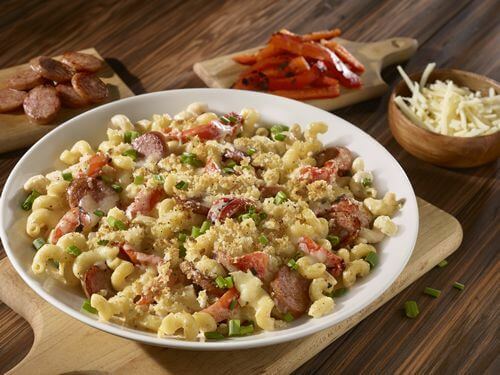 Old Chicago is a Mac & Cheese lover’s dream! Choose their Chicken Pesto Mac, Sicillian Pepperoni Roll™ Mac, or craft your own creation by choosing from their two creamy sauces, and delicious stir-ins, add-ins, and toppings! They also offer a spaghetti pie and baked tortellini, manicotti, and spaghetti options. If you’re a pasta lover dining out with a non-pasta lover (do those people exist? ), Lucky’s 13’s extensive menu will please you both! Shrimp Picatta, Capellini Pomodoro, or Spicy Mac & Cheese will satisfy your pasta craving and your dining partner will be happy with the plethora of other options. Of course you’ll find tons of delicious pasta dishes at an Italian restaurant, and Chianti Grill is no exception! There are fifteen scrumptious choices, four of them baked! It wouldn’t be Italian without classics such as Lasagne Bolognese, Spaghetti with Meatballs, and Spaghetti Carbonara. If you’re feeling like trying something new, we’d recommend trying the Seafood Cannelloni (shrimp, scallops, and lump crab baked in rolled sheets of pasta and smothered with sherry cream sauce), Tortellini Straw & Hay (cheese and meat filled tortellini, smoked ham, sweet baby peas and fresh mushrooms in parmesan cream sauce), or Cappellini ai Gamberetti (angel hair pasta with tender sautéed shrimp, basil, marinated tomatoes, garlic, and olive oil). 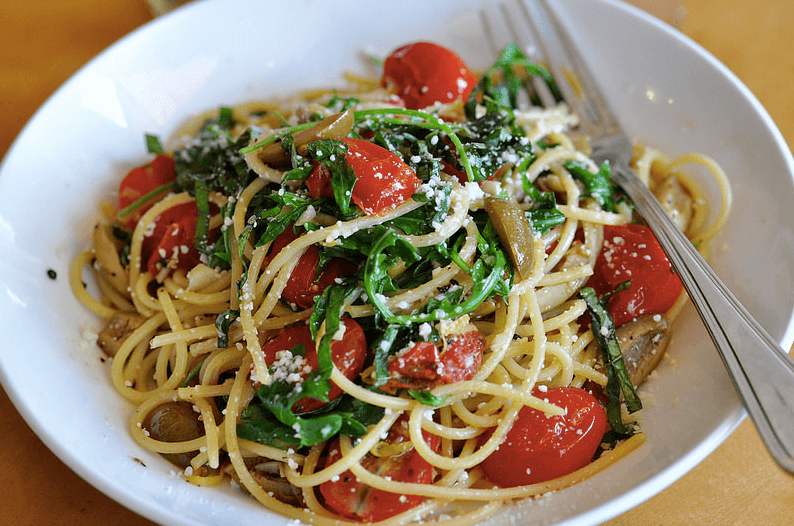 CRAVE offers four tasty pasta dishes. You certainly can’t go wrong with Garden Pesto, Baked Mac & Cheese, or Mushroom Fettuccine, but if you like a good caprese salad, you need to try the Caprese Chicken Rosa! Crispy Parmesan chicken breast tops a bed of linguini which has been tossed in a house made rosa sauce with fresh red and yellow tomatoes, garlic, and herbs and finished with fresh mozzarella & julienne basil. Another local Italian favorite, D’Amico, offers classic pastas (sometimes with a twist!) in a casual neighborhood cafe setting. Choose from favorites such as Chicken Penne (Amish chicken, tomato, arugula, roasted peppers, cream, balsamic), Spaghetti with Mushroom and Bacon (Fontina sauce, garlic, onion), and Garlic Shrimp Spaghetti (toasted bread crumbs, garlic butter, basil, chili flakes). When you visit Pizza Lucé, you have to make the difficult decision between pizza and pasta! Pizza may be in their name, but rest assured, their pasta is a fabulous choice! They are all classics, but they are classics done really well! Choose from Gluten-Free Stuffed Shells, Lasagna, Veggie Lasagna, Mostaccioli, and Traditional Spaghetti. Davanni’s is a Minnesota classic pizza and hoagie place, but their pasta is also a must-try! 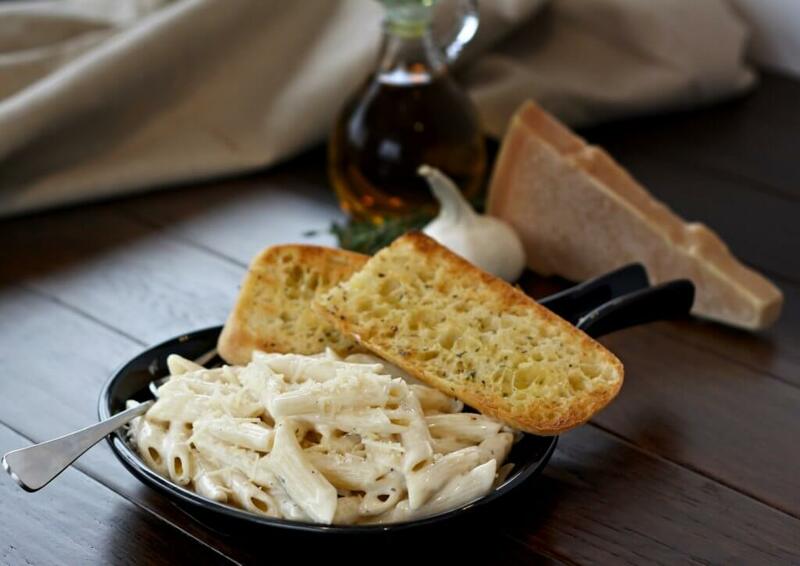 Choose from classics such as penne with your choice of red, Alfredo, or rosa sauce, Chicken Florentine, or Lasagna. Have you tried the pasta at any of these local spots yet? Let us know or tell us where you like to go to satisfy your pasta cravings. You really can’t go wrong no matter where you choose! We love Damicos! Great choice!